What exactly are DNA Diets? DNA diets are individualized diets based on a person’s genetic data. They are based on nutrigenomics, a relatively new science that examines the effect of genetic variation on the body’s metabolism. These diets involve a genetic test that establishes your genetic makeup. From the test results, a health professional determines the right food and exercise for you so as to maximize your ability to lose weight. 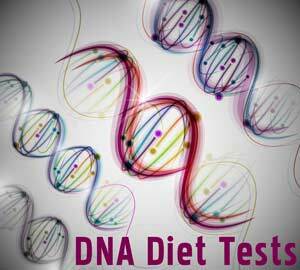 Aren’t DNA diets same as other weight loss diets? As much as DNA and other weight loss diets involve healthy eating and exercise, there is a difference between the two. Most weight loss diets assume a one-size-fits-all approach. Just as people react differently to the same medication, they also react differently to the same diets. DNA diets are personalized genetic-based diets. They are based on your unique genetic fingerprint obtained from the genetic test. The test aims to establish what type of diet works for you so as to maximize your ability to lose weight. Different DNA diet programs employ different genetic test methods. The most common test method involves you swabbing the inside of your cheek and sending the saliva-coated Q-tip to a company offering DNA diet services. Another test method involves a collection of a tablespoon of spit in a vial. Tests also involve surveys that may be in the form of questionnaires meant to help establish the psychological and behavioural characteristics of a person. It is examined in a laboratory. Gene variants are examined in relation to several factors such as how quickly your body metabolizes different nutrients, muscle activity and appetite control. Ideal diet composition – This tells you how much carbohydrate, protein and fat you should take. Ideal exercise intensity and duration – This tells you whether you need to focus on long slow endurance, high-intensity intervals or somewhere in between. Exercise performance potential – This tells you whether you are suited to power, strength or endurance activities. More: Check out These 8 Amazing Weight Loss Success Stories and Get Inspired! DNA tests are breaking into every walk of life these days; top athletes use DNA tests to determine how they can achieve maximum results, and as you already know DNA tests have long been part of finding cures for different illnesses. DNA diet tests are a relatively new concept in the nutrition world though. Trials have not been big and diverse. However, the fact that world elite athletes use the exact same kind of tests to identify what they should eat and how they should train just shows how effective they can be. Interleukin Genetics, a Massachusetts-based company, did a small study and put about half of 34 individuals in an employee-weight loss program involving on a diet based on the Stanford University trial patterns. 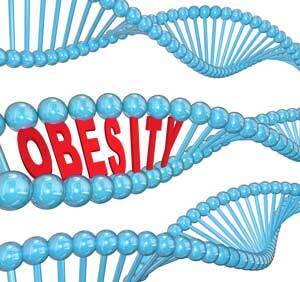 The individuals whose diets matched their DNA lost twice as much weight as those on a standard regimen. The DNA diet market is still in infancy stage. There is not much regulation in the market. It is therefore important that you take great care when subscribing to a diet program. Make sure the company is reputable and has accredited dieticians and other practitioners. Before you attempt any diet, consult your doctor to help you fully understand the implications of your health and any potential side effects from interactions with your medications or supplements.